Your Pawleys Island wedding is sure to impress all of your guests when you utilize the catering services of Litchfield Beach & Golf Resort. With a wide-range of menu offerings, our chefs are standing by to create the culinary experience that you have envisioned for your wedding in Litchfield. Whether your event requires brunch, lunch, or dinner, our catering staff can provide you with the courses you love most. We also offer both plated and buffet options, with buffet dinner catering events for parties of 30 or more. 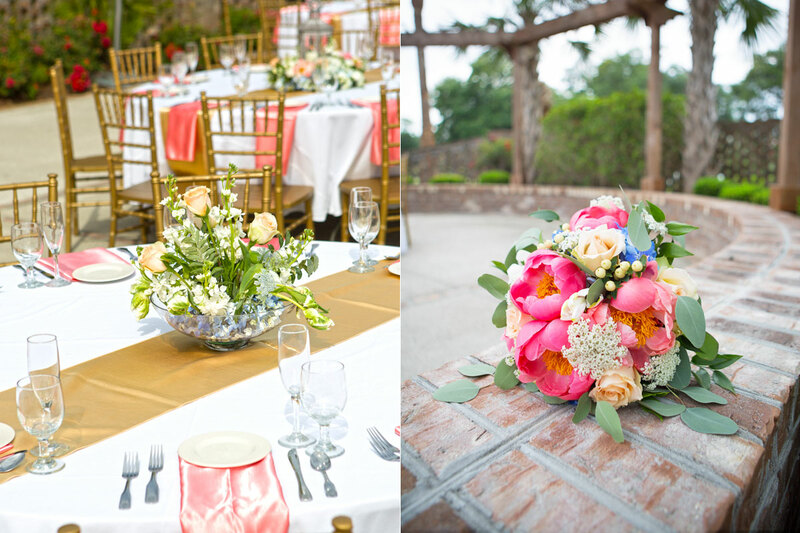 Browse the myriad options for your Litchfield wedding, which can even include themed dinner buffets, like our South Carolina Barbecue Buffet, Lowcountry Boil Buffet, Prime Rib Buffet, Taste of Italy, or Asian Fusion Buffet. If you're leaning toward Heavy Hors D'Oeuvres at your Litchfield Beach wedding instead of a buffet or plated meal for your guests, our talented catering team members have a variety of options for you. With a minimum of 50 guests, you can arrange for our Lowcountry Soiree including shrimp and grits station, Plantation Reception featuring beef shoulder tenderloin carving station, the Tailgate including pulled pork bbq station, or Broken Oak Brunch featuring mini crab cakes, shrimp cocktail, and prime rib. 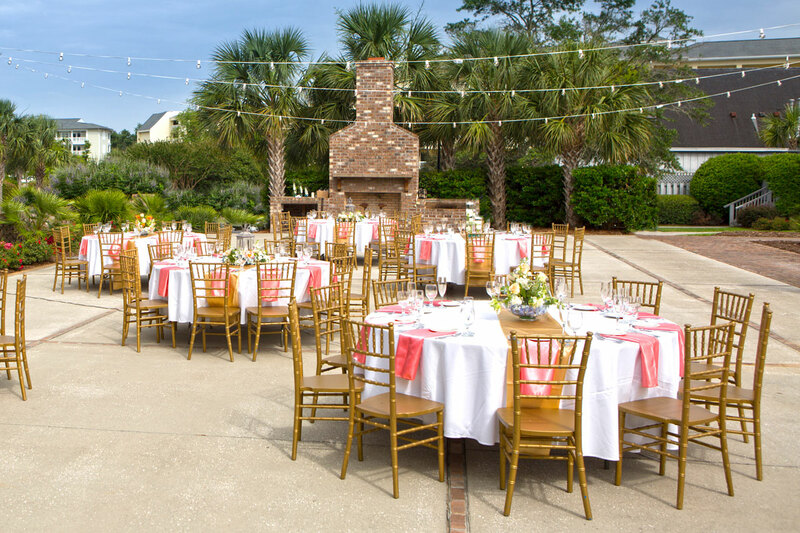 No matter which direction your Pawleys Island wedding takes you, you can be sure that the catering team at Litchfield Beach & Golf Resort provides you with a satisfying selection of customizable cuisine. Not sure if your preferences fit into one of the pre-determined menu options? Our team will be pleased to work with you to create the custom culinary experience that you have in mind. 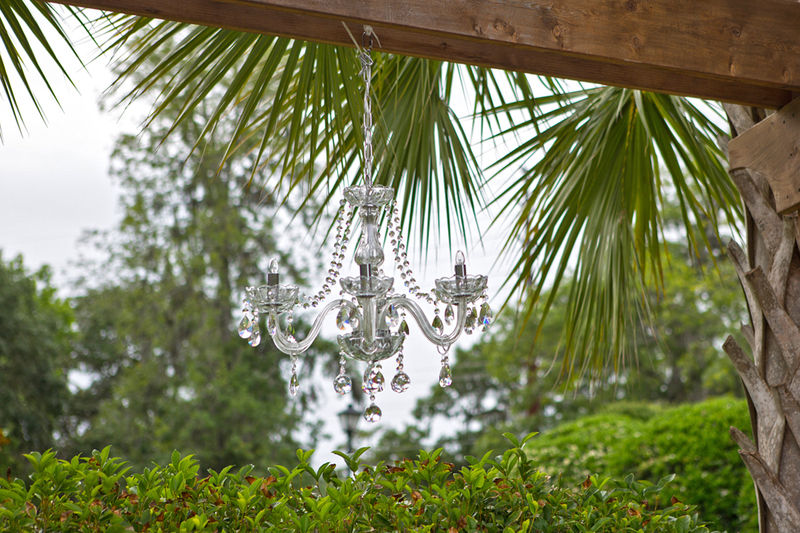 When considering wedding venues in Pawleys Island, remember that the Litchfield Beach & Golf Resort will go the distance to ensure your big day fulfills all of your wedding day wishes. In addition to food offerings, the catering services of Litchfield Beach & Golf Resort also provides beverage services, including hosted bars, cash bars, and beverage package plans, including the Premium Bar Package, Full Bar Package, and Beer & Wine Package. 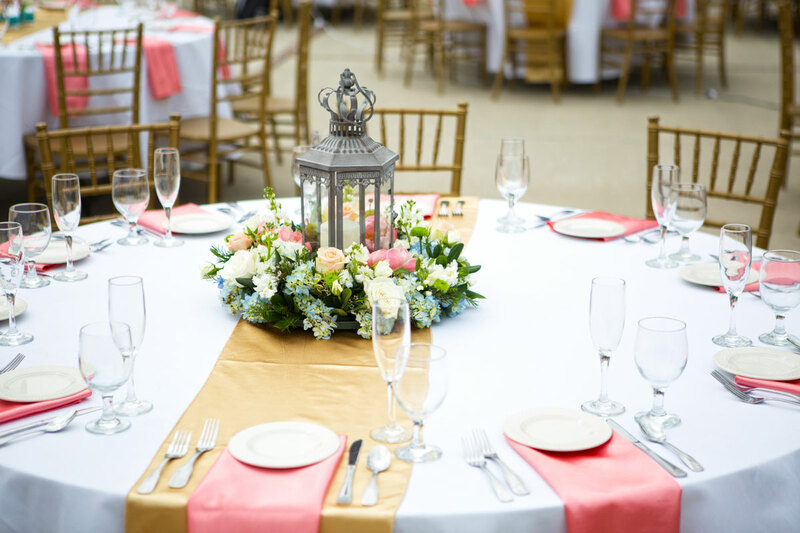 When you partner with the catering team at Litchfield, you can rest assured that your food and beverage choices will delight your guests throughout the wedding. Make your Pawleys Island wedding even more unforgettable when you select the food and beverage options that are best for your event.